Model BB 3313-12 Price Match Guarantee!! Size 31" Wide x 42" High. This chandelier has Rust finish. It is 31" Wide x 42" High with 12 lights. 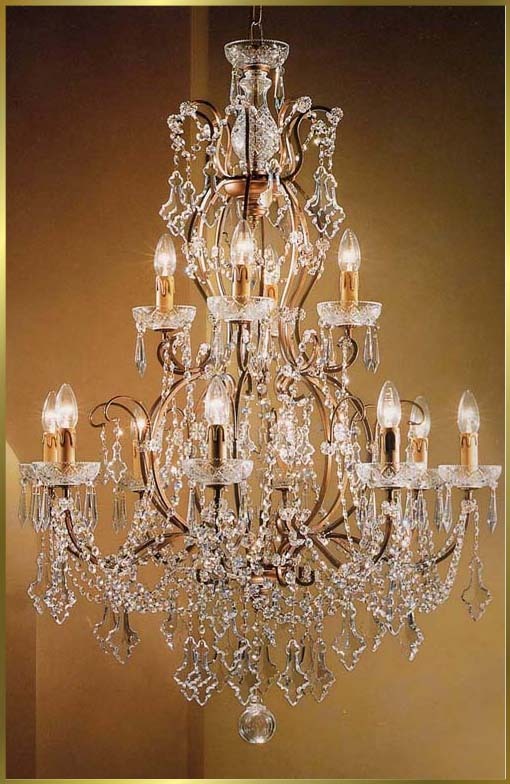 This chandelier is dressed completely with Full Lead Crystals which has a lead oxide content of over 30% (Highest in the industry). These crystals are precision cut and polished just like diamonds using the highest technology available to achieve the maximum color refraction and sparkle. If you would like to receive a sample of our crystal, please fill out our Catalog Request form and we will send you one right away.